The handsome-looking gentleman at the left is Clarence Matthew Baker, a comic book artist who died in 1959. He attended the Cooper Union School of Engineering, Art, and Design in New York and, in 1944, got himself a job as a background artist with the S.M. Iger Studio. His first published work was in Jumbo Comics #69. Baker became well-known for his "good girl" art that was popular at the time. 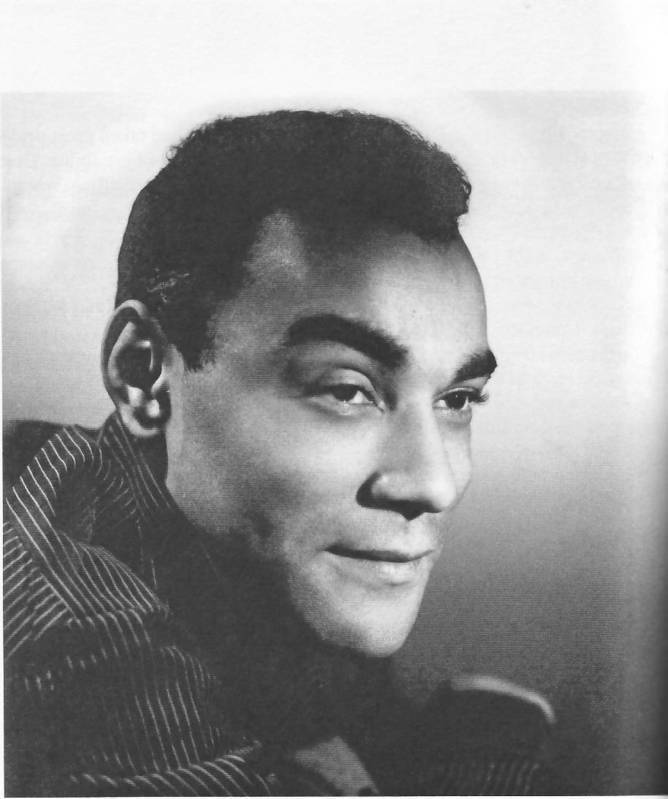 In fact, it was his incredible ability which allowed him to break the color barriers that were in place at the time. Baker became the regular artist on "Sky Girl", "Tiger Girl" and "Camilla, Queen of the Jungle Empire." In 1947, Iger asked Baker to redesign Phantom Lady and his more scantily clad version of the character, based off actress Linda Darnell, caught the attention of Fredric Wertham. 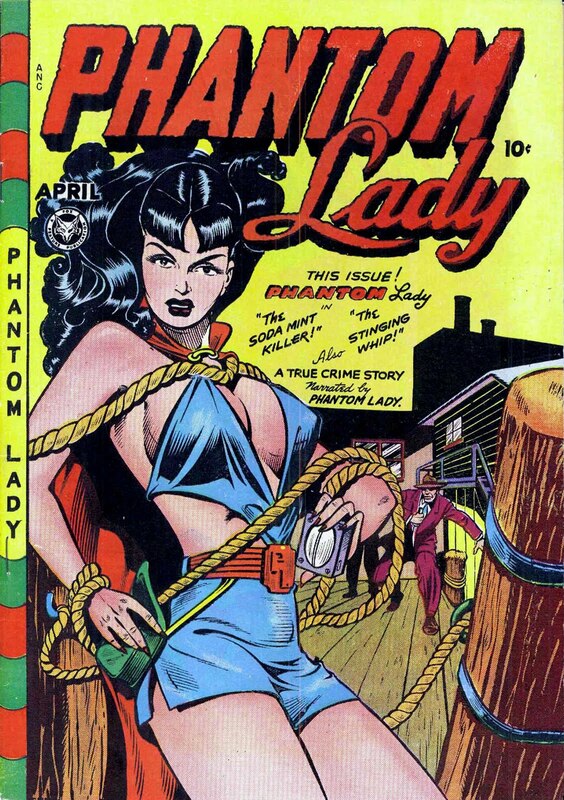 The cover of Phantom Lady #17 was even highlighted in Wertham's Seduction of the Innocent. Baker and one of the writers he worked with on Phantom Lady, Ruth Roche, began a newspaper strip in 1952 called Flamingo. That ran two years and was distributed by Iger’s Phoenix Features. Baker is perhaps most famously remembered for illustrating in 1950 what is sometimes considered the first graphic novel: It Rhymes with Lust. (Though it was called a "picture novel" at the time. Also, for those who haven't read it, the 'rhymes with lust' referred to in the title is the main character: Rust Masson.) The book and the concept were conceived of by writer Arnold Drake and Leslie Waller, though the book was a poor seller at the time. Through the later half of the 1950s, Baker worked for a variety of publishers including Quality, Dell, Harvey and Timely/Atlas/Marvel. Baker was a heavy smoker and died from a heart attack in 1959 at age 37. His last confirmed work was the "I Gave Up the Man I Love!" story published in My Own Romance #73.